When we last touched on the found-footage horror anthology of V/H/S, there was a lot of criticism over how the film fared. Some segments, like “3/31/98,” received positive reviews while the continuity plot-line and “The Sick Thing that Happened to Emily When She was Younger” were panned. So why put the sequel, V/H/S/2, through the ringer like its predecessor? Because the filmmakers must have been listening. 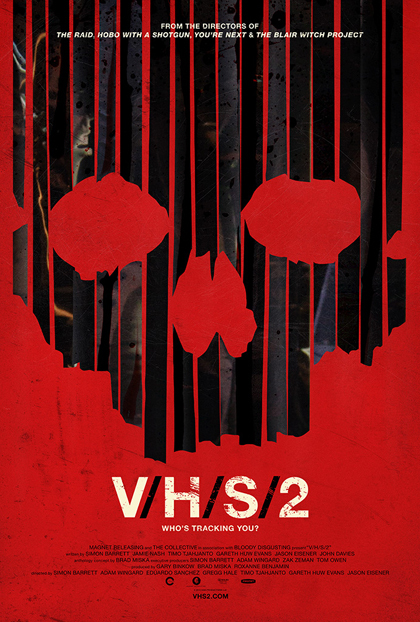 V/H/S/2 improved the series by leaps and bounds, so much so that I feel that this may be, at least, a trilogy. The real Achilles’ heel of the first installment of V/H/S was the connecting story. We had a group of guys who could be considered “Jackass meets A Clockwork Orange” as they create vicious reality videos for money (well, $50 a pop. Not exactly rolling in the dough). They are hired to find a tape, which happens to be hidden in a pile of VHS tapes in a house inhabited by the rotting corpse of an old man. The guys begin disappearing, or flat-out being decapitated, as they watch the tapes. We’re left with an undead old man with a mean case of predator-mouth, and no answers as to what it all means. With this sequel, we are given a bit more information. Not enough to know what’s definitely going on, but enough for us to hypothesize. 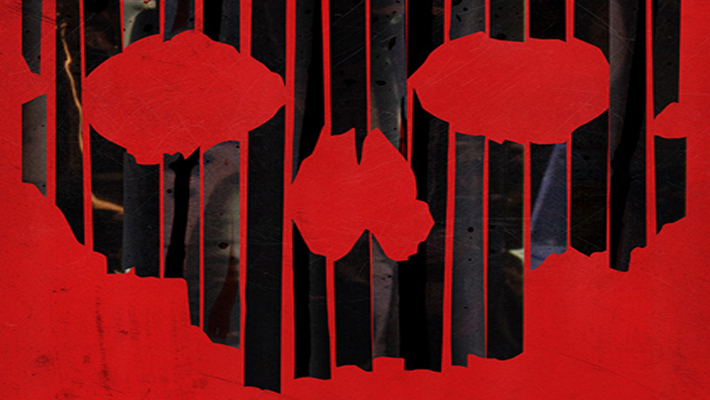 In V/H/S/2, we have a private investigator and his assistant looking for a college kid who seems to have disappeared. If only he were that lucky. Instead, he has been the victim of the dreaded VHS tapes. now the P.I. and his lady friend must watch the tapes to learn what happened to the poor boy. Do we find out what happened to him? Mostly. It’s a hell of a lot better than the story of a group of douchebags being stalked by weird figures in a creepy old house while they watch videotapes. 1) It gives the viewer a break from the spinning around of one camera. 2) It makes us wonder what crazy ghoul is splicing this raw footage together. I may have been rooting for a total break from found-footage during the film, but this is a happy medium that I can deal with. As far as the segments themselves, V/H/S/2 tops its predecessor first by slimming down how many segments there are. V/H/S had 5 segments to go with the surrounding story. V/H/S/2 trims it down to 4. What does that mean? Each segment gets more time, and the continuity story-line is better explained. The segments are also, to put it bluntly, better. They’re more creative. “Clinical Trials Phase 1” merges the idea of cutting-edge technology and contacting ghostly apparitions in an eye-wincing climax. “A Ride in the Park” has a zombie theme that is not only bloody, but funny and dramatic in one whole segment. The idea of does a zombie’s perspective (especially after the movie Warm Bodies) may seem a little cheesy, but V/H/S/2 pulls it off well. “Safe Haven” takes the perverseness of cults and their beliefs and makes it scary by giving their beliefs plausibility. The final segment, “Slumber Party Alien Abduction”, was my least favorite. 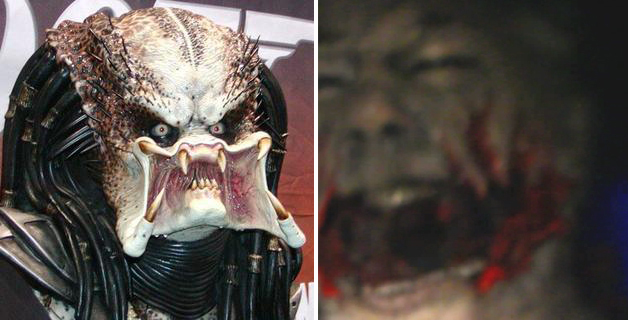 The scares were obvious and the aliens looked like a group of guys in masks and Green Man costumes. However, the final scene will have dog lovers crying for days. All in all, I give V/H/S/2 3-3/4 out of 5 VHS tapes. I’ve never done quarters in my grading before, but this movie called for it.